Recruitment Agencies – a necessary evil? There are many ways to locate a new role ranging from directly marketing yourself to a prospective company through to reading job boards (online or print). However, if you think that you have a CV that might interest a number of companies within a certain field then using recruitment agencies is must. Before you do this, you should be aware that the recruitment agencies are interested in one thing – getting you in a role. Now there are pros and cons to this. They will be very eager to goad you into attending interviews for jobs that they think you will get, not necessarily those that you want. However, if you are strong with the agency, they can be used to do the job legwork for you and land you the role that you are looking for. One of the common tasks of applying for a job is the covering letter. This is basically a short letter that tells the potential employer of your interest in the position with a brief summary of your skills that make you suitable for the job. Take the trouble to find out who you are writing to and address them personally, this will show that you have gone to the effort to apply for this particular job and it is not a standard letter. State which job you are interested in, where you found the advertisement and the reference number. This will make it easier for the employer to tell which position you are interested in if there is more than one vacancy. Check your letter to make sure that it makes sense and has no spelling errors. It is a simple tip but something which takes very little time but will knock you out of the shortlist if you make a mistake in your cover letter. Explain your role in your last position? Make eye contact with the interviewer. This will establish help establish a rapport with your interviewer and convey interest in the interview. Relate your answers to the questions you are asked relevant to your own experience. For example if you interviewer asks you what was you greatest achievement. Try and answer the question in such a way that it shows that you have skills that will be useful in the job you are applying for. What are responsibilities of the position? What are the prospects for career development and growth in the job? There is no definitive way of writing a CV but when writing a CV you should be guided by the purpose of the document. It is designed to five a potential employer a brief summary of your abilities and your past working life as they relate to the job you are applying for. Since the job market is so competitive it is important to be concise and yet precise in what you write. The first thing to consider is not something that you write once and use for every single job you apply for. It should be target to each job you apply for. You might want to keep several copies of your CV which reflect the different kinds of work you are looking for. 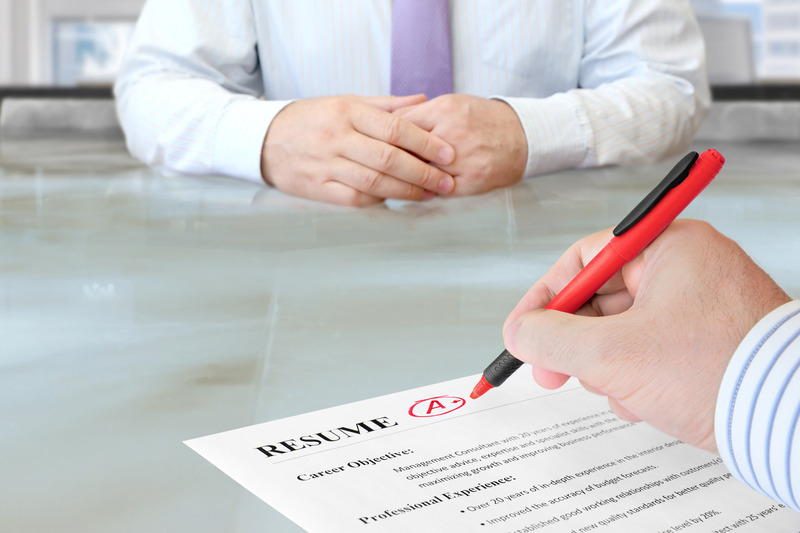 It is then a simple process to adapt the CV which most fits the job you are applying for. You have made the grade through the obstacle course of the CV and now you face the prospect of the interview. Good interview techniques are important if you are to succeed. Preparation is important and something which so many candidate neglect. Visit the company’s website to make sure you understand what the company does, its history, etc. Make sure you know where the interview is taking place. Plan your journey, giving yourself enough time to arrive in good time for the interview. Do not eat chewing gum or garlic the night before. Print copies of your CV to take with you. Any additional forms should be completed with information that agrees with your CV. Check to make sure you know the name of who is going to interview you. Be enthusiastic, alert and confident. Greet the interview by their surname and shake them firmly by the hand. Wait to be offered a chair before sitting down. Avoid complaining about your previous employers. Do not discuss your salary at a first interview. Follow these tips and your interview should run smoothly. You might even end up with a job. When you have had some experience in the workplace or if you have had continued your education to take a higher level degree you will probably be expected to provide references when you start your new job. How should you go about contacting a previous employee? If you have just left your previous job, then you should consider asking your manager for a letter of recommendation. It is better to do this earlier rather than later when asking for a recommendation letter. Obviously you do want a bad reference so you can guide the reference, by asking your potential referees, “Would you be comfortable providing a good reference for me?” If the person you are asking feels uncomfortable in providing a reference, they can decline politely but you can be assured that you will get a good reference from the people you ask that are willing to write a reference.